Quantum bits are the building blocks of Quantum computers because they represent two numbers at the same time. Scientists have now developed a quantum bit that represent four numbers simultaneously, instead of just two. Normal quantum bits basically consist of an electron (the really small particles that orbit atoms) trapped in certain kinds of material. This combination then starts to behave like an atom, but a very special one. We can control all the properties of this ‘artificial atom’. Normal atoms can have a few specific energy levels. These energy levels depend on the orbits of the electrons. The bigger the orbit, the higher the energy level. Since we can control all properties of ‘artificial atoms’, we can also control the energy level and keep it steady. 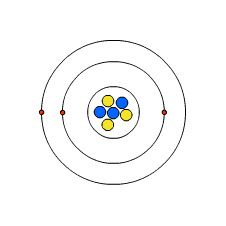 With this advantage, we can focus on a really weird property of the atom; its spin. 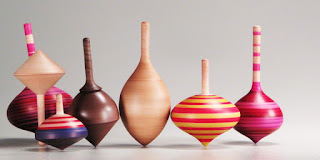 You can imagine artificial atoms to be a bit like spinning-tops. They can either spin to the right or to the left. The artificial atoms can do the same. The quantum computer then calls a spin to the right zero and a spin to the left one for example. But if you don’t look at the atom, it can actually spin both ways at the same time, and thus the artificial atom can represent both a one and a zero. But as soon as you look at it, it’s suddenly either a one or a zero. This strange property enables quantum computers to run multiple calculations at once, while normal computers can only do one at a time. Really fast, that is, but still one at the time. But now, scientists have discovered that we can really change the properties of an artificial atom by trapping it in graphene. Instead of two types of spin, it suddenly has four. The spinning top cannot only spin to the left and to the right, but also up and down. And you can now imagine it better as a ball. The quantum computer can call the two new spins two and three, and suddenly it has two whole new numbers to play with. This can make the quantum computer even faster, since it can do even more calculations in the sameamount of time. But there is one problem though. For the artificial atoms to actually turn into balls instead of spinning-tops, and get four possible spins, they have to be trapped in a very smooth piece of graphene. If the graphene is a bit rough on the edges, the artificial atom will refuse to turn into a ball and just keep its two spins. And graphene is notoriously hard to make since it consists of a single layer of carbon atoms. So it’s incredibly thin and delicate. This makes it really unlikely that this new discovery will be used in some new invention any time soon, since further research has to be done to make these special artificial atoms more stable.